A seminar briefly tracing the roots of Russian Music and how it evolved into the vast Russian Piano Repertoire that we know and love today. Vovka Ashkenazy, who is of Russian and Icelandic parentage, began piano lessons at the age of six with Rögnvaldur Sigurjónsson in Reykjavík, where his family lived at the time. Ten years later he went to England to study with Sulamita Aronovsky at the Royal Northern College of Music in Manchester. He also benefitted from occasional study sessions with pianists such as Leon Fleisher and Peter Frankl. 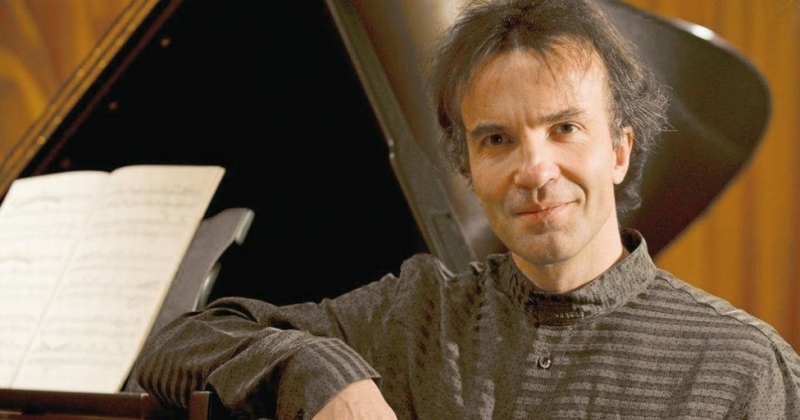 Vovka Ashkenazy made his debut in London at the Barbican Centre in 1983 with the London Symphony Orchestra under Richard Hickox, performing Tchaikovsky’s First Piano Concerto. Since then, his career has taken him all across Europe, and to Australia, New Zealand, Japan and the Americas. He has participated in the Marlboro Festival in Vermont, as well as the Edinburgh and Spoleto festivals. Orchestras he has appeared with include nearly all the major British orchestras as well as the Los Angeles Philharmonic, the Australian Chamber, the Berlin Symphony, the Berne Symphony and the Zürich Tonhalle Orchestras. Conductors he has worked with include his father, Vladimir Ashkenazy, Semyon Bychkov, Martin Fischer-Dieskau and Stanislaw Skrowaczewski, at venues such as the Hollywood Bowl, the Sydney Opera House, the Berlin Philharmonic and the Royal Festival Hall, London. Vovka Ashkenazy is very active as a chamber musician and has recorded a CD of Italian music for clarinet and piano with Dimitri Ashkenazy, his brother, with whom he toured Japan in 1997, 2000 and 2002. He has also performed and recorded with his father, Vladimir Ashkenazy, and their recordings on DECCA include Bartók’s Sonata for Two Pianos and Percussion, Rachmaninoff’s Suite for Piano Four Hands, Schumann’s Andante and Variations for Two Pianos, Two Cellos and Horn, a 2009 release of a CD with French music for two pianos, and a 2011 release of a two-piano CD entitled Russian Fantasy, which includes transcriptions by Vovka Ashkenazy of Borodin’s Polovetsian Dances, as well as Mussogsky’s Night on the Bald Mountain. A further two-piano recording, with music by Howard Blake, came out in 2013. Their two-piano concert activities have recently included performances in Italy, Switzerland and Turkey, as well as five tours of the Far East, the most recent being South Korea in 2014. Vovka Ashkenazy has also worked together with the Reykjavík Wind Quintet and has released two CDs with them on the Chandos and the Cryston (Japan) labels. Alongside his concert activities, Vovka Ashkenazy also devotes his time to teaching and master classes. He has given master classes in many countries and is also a member of the chamber music coaching staff at Pro Corda in the UK. He was Professor of Piano at the Conservatoire Gabriel Fauré in Angoulême, France, from 1998 until 2007, when he moved to Switzerland. In addition to his post at the International Piano Academy in Imola, he also teaches on the Master of Advanced Studies in Performance and Interpretation at the Conservatory of Italian Switzerland (CSI) in Lugano. Vovka Ashkenazy has contributed, through performances, to several charitable causes, including Action for Children and Cystic Fibrosis Trust in the UK, Telethon in Switzerland, and the Bridges Peace Foundation in Cambodia and the Philippines. He was made Honorary Artistic Adviser of the Guangzhou Opera House in November 2010, and he has been made Artistic Director of the Rina Sala Gallo International Piano Competition in 2014. He currently resides in Ticino.